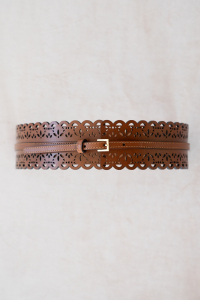 Floral perforations and scalloped edges bring a flourish to a leather belt fitted with elastic in back. Size Info: Stretchy; XS/S=29 1/2″-39 1/4″, M/L=37″-56 1/4″, XL/1X=44 1/4″-72 1/2″, prong to middle hole. 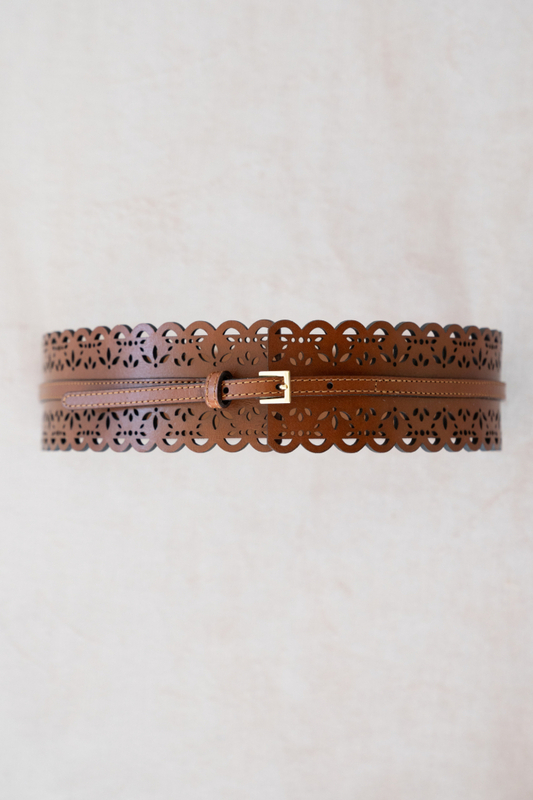 Pair with a simple summer dress.